As one of the few films affected by Dylan O’Brien’s crippling injury – the young up-and-comer was involved in a serious on-set accident while filming YA sequel Maze Runner: The Death Cure – it’s no secret that American Assassin has spent a little more time in the oven than one would expect. But with a September 15th launch date between its crosshairs, Michael Cuesta’s (Kill the Messenger) geopolitical thriller is prepped and ready to infiltrate theaters across the planet, and today brings forth the thrilling first trailer to stoke excitement. Placing O’Brien in the boots of volatile CIA Black Ops recruit Mitch Rapp, American Assassin is pulled from the pages of Vince Flynn’s sweeping 15-part novel series, and it’s clear CBS Films is gunning to establish a bona fide action franchise – think Jack Reacher with a little more political bite. Starring opposite Dylan O’Brien is Spider-Man: Homecoming‘s Michael Keaton, who takes on the role of jaded Cold War veteran Stan Hurley. He reluctantly takes Rapp under his wing after the latter falls off the radar once his girlfriend is killed in a chilling beach shooting, one that could well be ripped from today’s headlines. Make no mistake, this is a button-pressing origin story through and through, but the real question is whether Vince Flynn’s subject matter can resonate with a moviegoing audience in a few months’ time. American Assassin opens on September 15th and co-stars Scott Adkins, Sanaa Lathan, Shiva Negar and True Detective alum Taylor Kitsch. 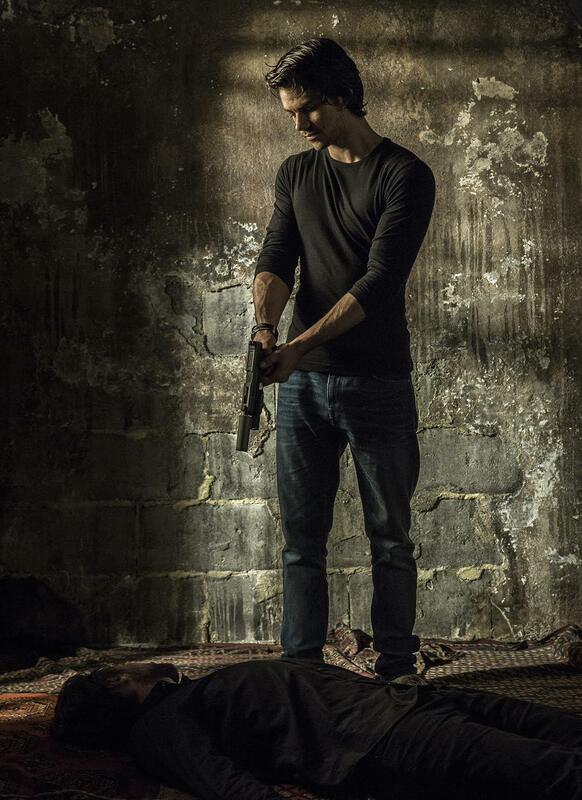 American Assassin follows the rise of Mitch Rapp (Dylan O’Brien) a CIA black ops recruit under the instruction of Cold War veteran Stan Hurley (Michael Keaton). The pair is then enlisted by CIA Deputy Director Irene Kennedy (Sanaa Lathan) to investigate a wave of apparently random attacks on both military and civilian targets. Together the three discover a pattern in the violence leading them to a joint mission with a lethal Turkish agent (Shiva Negar) to stop a mysterious operative (Taylor Kitsch) intent on starting a World War in the Middle East.